The playMGM NJ Online Casino is the latest New Jersey online casino to come into the Internet gaming industry with its launching both a casino and poker platform in early August of 2017. However, the famous MGM entertainment company has always been known worldwide for its hotels, casinos and events. MGM recently entered into a partnership with the well established Borgata to get into the New Jersey online gaming scene, and is already bringing new players into the fold. This state of the art platform is by far the cleanest and well rounded in the industry, offering over 220 plus online casino games to start and plans to ramp up its selection in 2018. The site has around 200 virtual slots that feature a number of progressive jackpots and 20 different table games that include the favorites of roulette, blackjack, video poker, and even a couple of exclusive titles. On top of a decent beginning game selection, players are eligible to automatically gain cash and other rewards through earning iReward Points, playMGM’s New Jersey loyalty program. Lastly but certainly not least, playMGM is offering two combinable bonuses as a welcome package. New Jersey players get $25 in free bonus money that they can start playing with when they first sign up. The $25 does not require any deposit, however, players that make an initial deposit can double that deposit amount up to $1000! Daily Promotions Every day of the Week awards players FREEPLAY or iReward Points just by signing in! Although you can play with your bonus money right away, they are still subject to some requirements for withdrawals. Before you are able to withdraw any bonus money, also known as FREEPLAY, and any money won while using bonus money, it will need to be unlocked or played through. For the free $25, you will need to earn 150 iReward Points before cashing out, and you will have up to seven day to complete it. For the deposit match bonus and any money won through bonus wagers, players will need to play through 6x the total amount on any games. You will also have seven days to complete these bonus requirements. Players should know that when playing with bonus money, FREEPLAY is used first for wagers. Go to the playMGM Online Casino with our link! Hit the Register Now button in the top right hand corner. Fill out the player details to verify you are starting a new account. As soon as your account is verified, your $25 bonus will be loaded immediately! Make an initial deposit from $10 up to $1000, and playMGM will match it at 100%! The online casino platform at playMGM has a cutting edge design and a silky smooth navigation to make it simple for players to find and join their favorite game almost instantly. The layout tops all of the other New Jersey online casino competition. The Welcome Package for playMGM NJ that consists free $25 of bonus money, and $1000 match deposit bonus money, otherwise known as FREEPLAY, is ranked at the top in New Jersey in terms of amount offered to new players. playMGM’s NJ Online Casino has daily bonuses that promote players throughout the week. These include free slot spins, deposit bonuses, iReward bonuses, and $20 of FREEPLAY. The iRewards loyalty program gives online players a chance to redeem rewards such as cash back, online store items, and free comps to any of the number of MGM brick and mortar locations. The Express comps can be used on room stays, restaurants, and entertainment events. playMGM NJ has started off with an overall fair size collection of online casino games, having 220 games in total. Although the there are only around 20 table games, playMGM did select the most popular games from the array of choices by GVC gaming. With partners under the same license such as Pala Casino and Boragata, playMGM was able to select tried and true titles that proved to be player favorites along with its own exclusive games. The online casino does have a rather large variety of virtual slots, with 200 now on its platform and more coming soon. This array of slots also include seven progressive jackpots that are growing daily and are nearly at $2.2 million. playMGM has three different types of online blackjack games: Original Blackjack, Multi-Hand Pro Blackjack, and Vegas Downtown Blackjack. Original Blackjack: This is a basic form of blackjack with traditional rules and is single hand. 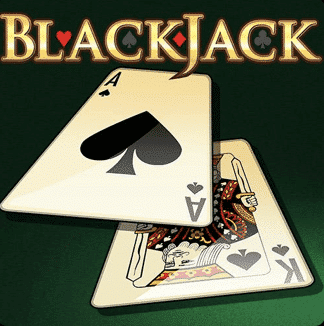 Multi-Hand Pro Blackjack: Blackjack with a fast pace and multiple-bets, multi-hand is more for experienced blackjack players. Vegas Downtown Blackjack: Also known as multiplayer blackjack where you play against competition or with other players against the house. playMGM did not hold back on its selction of video poker, with over 13 different versions available to players. Video poker is one of the top online casino games in New Jersey where you as a player solely go head to head against the game rather than other players. The collection of video poker titles vary from winning rules to special “wild” cards that can act as any card you wish. All have a high payout percentage average and differ from single to double line games. On top of the online video poker and blackjack choices, playMGM also lets players indulge in the two top versions of online roulette, traditional craps, and an exclusive table game similar to Keno known as Magic Ball Action. playMGM boasts one of the largest slot selections in New Jersey, despite having less table games available. The 200 title collection is individually unique, though you will find a majority of the most popular slots seen in both brick and mortar casinos, as well as online casinos. The virtual slots keep you excited and in the storyline, as winning moves the game forward, and in most cases, multiplies the chances to win. All online slot games have up to 20 payout lines and are five reel. Additionally, you can also try your hand at the progressive jackpot slots that literally payout millions! At the moment, there are seven progressive jackpot slots with 4 titles close to $2.2 million and climbing! Noir – by invite onlyAll three types of rewards increase as you climb the tiers, unlocking better prizes, comps, and cash conversions. Out of all of the online casinos in New Jersey, playMGM is ranked number one in terms of design, operability and navigation. Although the site is fairly newer to the industry in regards to competition, MGM along with gaming software provider GVC has set the standard for online casino layout. Players can see instantly see the top games out of the 220 game selection on the home page as Featured Games as well as New Games, but can quickly get to the full array of slots and table games along with the options for banking and promotions. You can also look to see if the platform has your favorite game through a useful Search Bar located in the upper right hand corner. You can download a web client of the online casino or choose to play right in your favorite browser. With the rise of playing games on your phone becoming more and more popular, it is important that online casino should let you play on the go. At playMGM, New Jersey players are able to access the online casino on mobile devices and tablets. The selection of games is limited to the top titles for both slots and table games. The apps are available for iOS iPhones and iPads through the iTunes App Store as well as for Android smartphones and tablets. The Google Play Store does not yet support real money gaming apps, but players can download the Android version of the app straight from the playMGM Casino website when using a mobile device. If you would rather play via your phone or tablet than on a computer, playMGM allows you to register and redeem your Welcome Bonus through the mobile apps! Is playMGM NJ Online Casino Legal in New Jersey? The playMGM Online Casino is fully legal and holds a gaming license for the state of New Jersey through a partnership with Borgata. 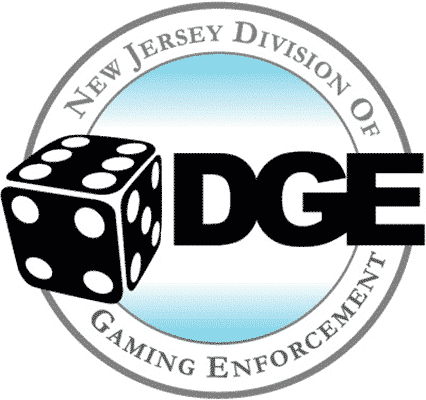 It is one of the most recently approved Internet gaming platforms in New Jersey through the state’s online casino regulator, the New Jersey Division of Gaming Enforcement. Only online casino sites that adhere to all of the protective and fair play laws can apply for an online gaming license, with New Jersey being known for having tight regulations. Responsible gaming is also taken very seriously and players can instantly set deposit limits on playMGM by hitting Deposit Limits under the Banking tab. Legally, you must be in the state borders of New Jersey to access real money games and need to be at least 21 to register. 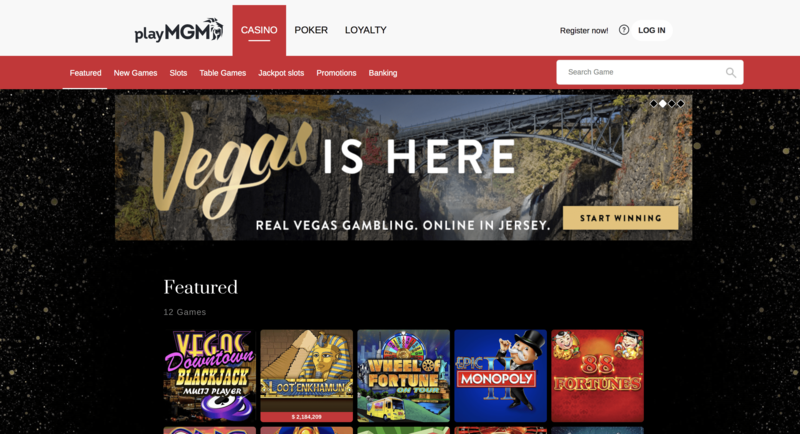 MGM has a strong foothold in Nevada’s online gaming industry but planned the New Jersey platform launch since 2016 when it purchased 50 percent of Borgata’s stake. It is the fourth out of five available brands to act under the Borgata license, and will greatly benefit from the recent legal motions that combine Nevada’s and New Jersey’s player pools. Deposits and withdrawals on playMGM NJ Online Casino are fully safe and secured through a 128-bit encryption, the highest standard of online financial security. Depending on your option of choice, deposit time frames are almost instant, unless there is an issue with verification. Withdrawals can process between 24 and 72 hours, and are typically transferred within three to seven business days, depending on the option you choose. You can always withdraw any amount of funds without downtime through the Borgata Casino’s cashier cage. When starting their online casino and poker platforms in New Jersey, MGM wanted its players to feel the same level of support found in any of the brick and mortar casinos. There is a support help line up and running 24 hours a day, seven days a week for New Jersey players, a fast and responsive email team, and answers to the most common queries under the Frequently Asked Questions page. The FAQs are helpful for basic issues with step by step troubleshooting for registering, bankingm and technical problems. However, do not hesitate calling in for any assistance at 1-609-248-9531. The supportive New Jersey email team can be reached at [email protected] or through the Contact Us tab near the bottom of the main page. playMGM Casino is a top tier online casino option for New Jersey players. The software and platform, due to their incredible design and the ability to easily navigate, top our list for the best in New Jersey. Also, the generous bonus amounts offered in the Welcome Package are one of the highest you will find online. The game selection is packed with great titles in regards to virtual slots and video poker, but could improve on the available choices for table games. With being a rather newer online casino platform, playMGM NJ is bound to increase its array of table games as well as its assortment of playable games for mobile apps in 2018. The iRewards program is definitely a strength, as it not difficult to gain points that can be used for enjoyable rewards both online and in person. MGM does not disappoint in support, with a swift and helpful response team through phone or email. At the end of the day, playMGM is a quality option that lets New Jersey players legally join in on their favorite online casino games.